The Bono Residente by Titsa isn't that easy to understand for foreigners. I was standing at the bus company's information counter when this became clear to me. Why? I overheard a conversation between a British and a German tourist. Both were confused. Important to know is that the Bono Residente is flexible, hence it's not required to buy fares for it every month of the year. 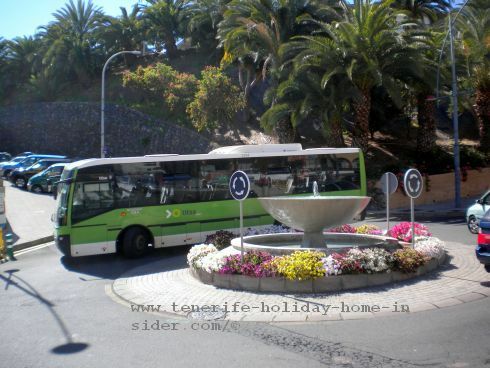 A new Bono Residente for the elderly called Abono Senior 65 plus (for +) has been introduced on January 31 of 2019 with more public bus travel discounts for all Canary Island residents aged older than 65 years. It's not just for interurban Guaguas and Tranvia. It also allows you to travel long distances and as often as you wish during day or night. Hence for example, it would be a huge saving if you wanted to use the bus just twice a day to go from Puerto de la Cruz to Los Gigantes for work or pleasure. Also, you save time, as there's no need to apply for Bono Residente cards for different Canary Islands. Is the latest discount better for the elderly than the Bono Residente? In case you have missed the link above, this is possible since February 01, 2019 on all Islands. This new reduced bus fare option is indeed best for pensioners. Discover the new price for unlimited travel with Tenerife buses for residents that are older than 65 years. What is the purpose of such highly subsidized cards? Both Cabildos of Gran Canaria as well as of Tenerife who take four yearly turns of government for all Canary Islands decided it's very important to reduce the land traffic, hence the congestion by vehicles on the archipelago. The so called Bono for Canary residents is only one of several measures that were taken. Of course, healthy environments in all Canary Islands are vital for both locals and tourists.